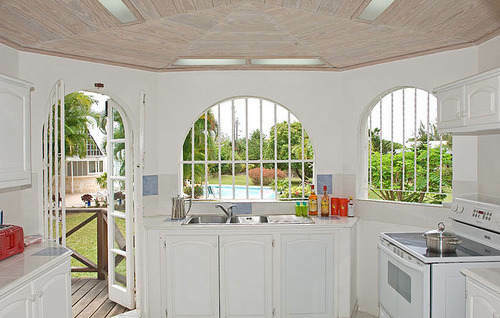 Very large fully equipped kitchen. 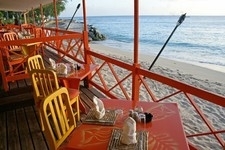 Mullins Bay on the door step - Mullins Beach Bar and Restaurant are 300 metres away. 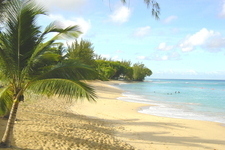 Gibbes Beach, another favourite which because is quiet and secluded is less than a mile away. 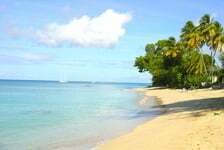 Convenience shopping is just over half a mile from Mullins Bay House. 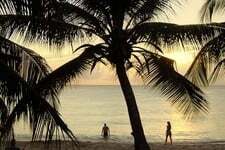 Local activities: diving, fishing, golf, horse riding, sailing, tennis, jet skis, water skiing, wind-surfing and much more. 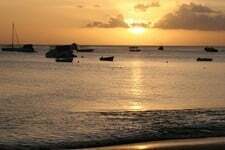 Speightstown which is colourful and authentically Bajan is a mile and a half to the north, with a good range of shops, supermarket, food stalls, banks and popular eating places such as The Fisherman's Pub, Zachary's and Mangos Restaurant. 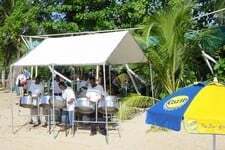 The renowned Fish Pot restaurant is a bit further north on the coast, while to the south there are many more waterside restaurants such as the stylish Lone Star, Tides, The Mews and Cariba. 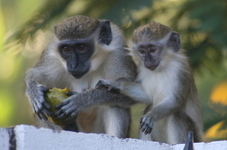 Holetown with very wide range of bars restaurants such as Olives, Tides, Cocomos and Groots is 4 miles south. It offers duty free shopping and a large supermarket. 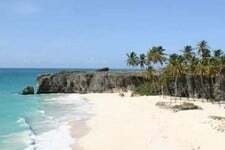 Bridgetown is about 25-30 minutes away to the south by bus or car. Friendly staff – Anthea our housekeeper and Andrew the gardener will ensure you are very well looked after and help make your holiday relaxing and memorable. 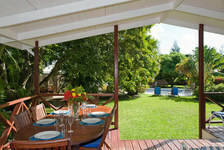 Larger groups - Mullins Bay House shares the garden and pool with our two other apartments (1 bedroom and 2 bedroom) which stand in same the grounds. If need be the house is also available in a 6 bedroom, 5 bathroom configuration which is ideal for special occasions such as 40-50-60th birthdays. 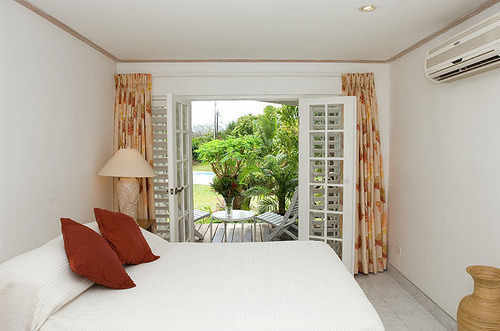 Wireless internet - there is a broadband wireless network at Mullins Bay House for your laptop. 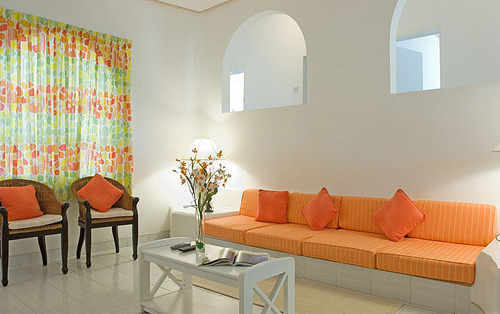 Maid service and linen change twice a week included in the cost. 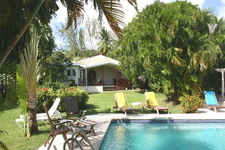 Mullins Bay House can be rented on a daily basis - just divide by 7. 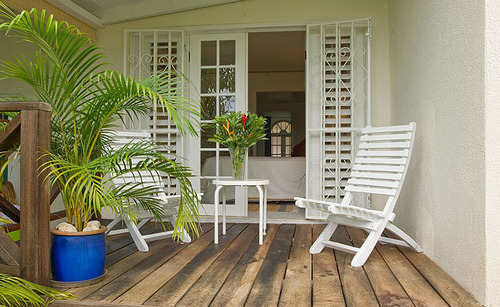 "It is one of the most tastefully furnished rental villas we have stayed in. And the location was ideal." "All the facilities for small people were a real bonus.We all had a great time and MBH has far exceeded our expectations." "We thoroughly enjoyed the house. The space is perfect for families. The pool and outdoor areas were especially nice." "The house was great - also the car - it is noticeable how much less the locals selling approach you when not in a hire car." 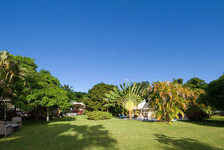 "I cannot recommend Mullins Bay House highly enough. The owners are wonderful and the house is great."